We are pleased to announce that we have a new General Manager, Greg Beall. Greg joined Jeff Wilson Pool Service as General Manager this past March, and brings with him a wealth of knowledge and experience in all things pool related. 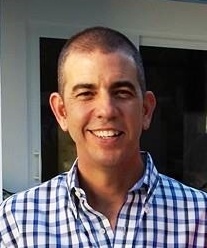 Originally from Maryland, Greg has spent the majority of his adult life in Florida, first in the Tampa area and then eventually relocating to Naples in 1999. Professionally, Greg has been affiliated with the swimming pool industry since 1984 and has worked in all areas of pool maintenance, repair, management and construction. In Tampa, Greg worked with what is recognized as the largest pool company in the country, initially as a pool technician then working his way up to General Manager until his departure in 1999. At that time, Greg made the move to Naples to work with Nassau Pool Construction. During his 17 year tenure with Nassau, Greg became the General Manager and oversaw the building of 5,000+ swimming pools in Southwest Florida. As a pool builder, he happens to be intimately familiar with many of our current customer pools – just another bonus to his already impressive bio. On a daily basis, Greg will use his strengths as a manager to promote quality service from our over 50 employees. He enjoys the camaraderie among staff and clientele and is a fantastic facilitator between the two. His understanding of pool hydraulics, equipment and pool water chemistry is a benefit to our company as a whole. His ability to train our employees and to educate our customers, is priceless! With the addition of a General Manager to our staff here at Jeff Wilson Pool Service, we are excited about what the future holds for JWPS! For Jeff & Lis Wilson, this means more quality time with their 3 young grandchildren. For Casey Wilson and Emily Wilson Page, this creates an atmosphere of intentional focus on steady, quality, growth and sustainability. We are confident with Greg on board we have found just the right person to lead us as a company into the future! Please join us in welcoming Greg and his wife, Lissi, to the JWPS family!